The reference list is the last page of your paper. References begin on a separate page from the last page of your writing. Put the word "References" at the top center of the page. Your reference list is alphabetized according to the first word of each end reference. The reference list is double spaced and formatted using a hanging indent. To put in a hanging indent, type your references normally. 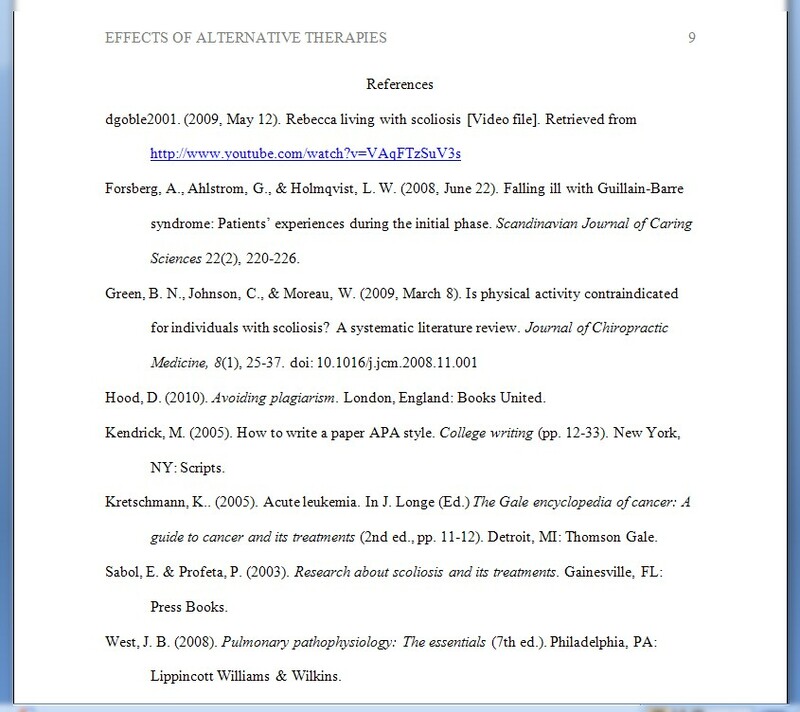 When finished, highlight the reference list and click on the arrow in the corner of the paragraph tab in Word. Under Indentation, select Hanging from the drop down menu for Special.